Plant growth promoting rhizobacteria (PGPR) have been described for sustainable agriculture practices as being a vital agent for abiotic and biotic stress mitigation and growth promotion in plants. In the present research, the authors emphasize the role of drought tolerant PGPR namely, Pseudomonas simiae strain AU, in protection of soybean plants by modulating the gene expression profile and phytohormone biosynthesis responsible for drought tolerance in plants. The gene expression analysis confirmed the involvement of transcription factors (DREB/EREB), osmoprotectants (P5CS, GOLS), and water transporters (PIP & TIP), as these genes were up-regulated in P. simiae AU-inoculated plants leading to drought tolerance. In addition, enhanced production of abscisic acid (ABA) and salicylic acid (SA) hormones and reduction of ethylene emission, associated with promoting drought tolerance, was observed in bacterial-inoculated plants in comparison to non-inoculated plants. Higher proline and total soluble sugar contents in AU-inoculated soybean plants also contributed to increased tolerance to drought stress. 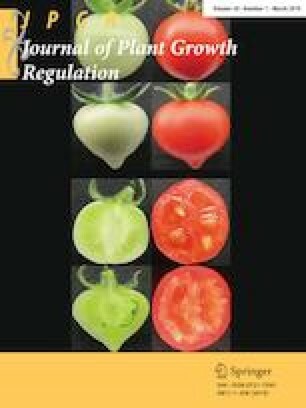 Overall, P. simiae AU mediated drought-induced expression profiles of stress genes and plant hormones were determined in soybean plants. The research was supported by SERB-Grant No. SR/FT/LS-129/2012 to DKC. Some of the research has partially been supported by DBT Grant No. BT/PR1231/AGR/21/340/2011 to DKC.